Microwave & RF PCBs are used in applications where transmission rates are critical. These types of PCBs often incorporate the use of controlled impedance designs as well as PTFE, Ceramic, or other high-speed materials. Common design features include hybrid material constructions, blind & buried vias, backdrilling, and sequential laminations. Faster communications require high speed resin systems for high bandwidth RF applications in the following industries: Military, Telecommunications (power amplifiers and antennas), RFID, DUT Chip testing, Medical and Automotive (radar). Manufacturing challenges typically surround the different types of materials required by the design. Primarily the issues include drilling, multilayer lamination, and plating activation. With our many years of experience with microwave laminate, we understand the high reliability and tight tolerance requirements of most applications. 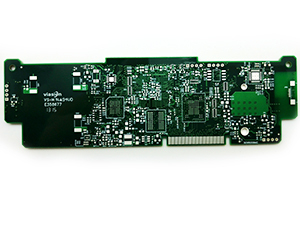 Will all the different features of every RF PCB application, we have developed partnerships with the key material suppliers such as Rogers, Arlon, Nelco, Taconic, EMC and TUC just to name a few. Wide range of material, such as: Rogers RO4350, RO4003, RO3003, RT/duroid, Arlon 85N, 33N, Nelco N4000-13, Panasonic Megtron 4, Megtron 6, TU872, EM827, TACONIC RF35, etc.